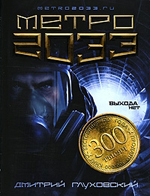 The main > Cinema> Fantasy> Dmitry Glukhovsky of "Subway 2033"
The few survived people hide in the Moscow subway - the biggest antinuclear air-raid shelter on the earth. Its stations turned into city-states, and the darkness reigns in tunnels and the horror lives. To Artem, the inhabitant of ENEA, it is necessary to pass through all subway to rescue the station from terrible danger, and there can be also all mankind. 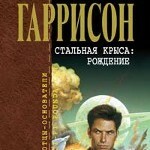 Fourth edition of the cult novel of Dmitry Glukhovsky. The best debut of Europe of 2007, winner of the Evrokon 2007 festival. The general circulation - about a third of one million. Four hundred thousand Internet readers. One and a half years in ten best-sellers. "Really the world is so simple, and everything turns round what someone did not divide glory and admirers?." "Sense in life only one: to make and grow up children." I read once that Kalashnikov was proud of the invention, that its machine gun — the most popular in the world. Spoke, it is happy what thanks to its design Homeland boundaries of safety. I do not know if I constructed this machine, I, probably, would go already crazy. To think only, by means of your design the most part of murders on the earth is committed! It even is more terrible, than to be the inventor of a guillotine"
"Who will have enough bravery and patience all life to peer into a gloom, the first will see in it light gleam." "Not the death is terrible. Its expectation is terrible." "Time - as mercury: you will shatter it, and it right there will grow together, again will find the integrity and uncertainty. People tamed him, put him on a chain from the pocket watch and stop watches, and for those who holds it on a chain, it flows equally. But try release it - and you will see: for different people it flows differently..."